Some owners with a yacht to sell prefer to bite the bullet and make a major price reduction. Others prefer to make piecemeal cuts in the hope that this way the yacht will find its true market value. Here we present five yachts for sale whose owners have chosen the latter route. The 57.9m motor yacht Mi Sueño, delivered by Trinity Yachts in early 2010, is a modern combination of the latest marine technology and exquisite styling. 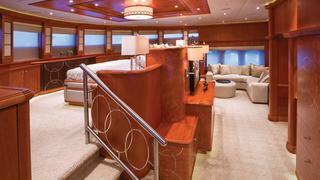 She sleeps 12 guests in six lavish staterooms and has the added benefit of wheelchair access. ABS classed and MCA compliant, Mi Sueno was designed with a transatlantic range, but also has a draught suitable for cruising the Bahamas and US East Coast. She has a maximum speed of 20 knots and a range of 4,000 nautical miles at 10 knots. Mi Sueno has had three price reductions since January 2012, totalling $9.9 million. Built by Cheoy Lee in 2003 with naval architecture by Mulder Design, the 38 metre Namoh is a wonderfully balanced yacht, providing guests with all the delights of luxury yachting. She has an outdoor spa pool, al fresco dining options, a bar, formal dining saloon, good sunbathing areas as well as generous interior accommodation for up to 10 guests in five cabins. One of Azimuts successful 116 range of motor yachts, the 35.1m Cinque Star was designed by Stefano Righini, with an interior by Carlo Galeazzi and was delivered as recently as 2010. She has an abundance of exterior space for entertaining  a large area on the aft deck and a fantastic sundeck flybridge. 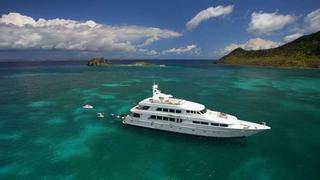 She sleeps up to 12 guests in five staterooms  a master suite, two doubles and two twins with Pullmans and has had no fewer that six price cuts in the past eight months. Only Now was built by CNB in 2002 and maintained to the highest standards. 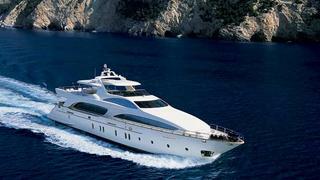 She features three guest cabins forward and two crew cabins aft. A modern interior with wengé floors and white seating has side hull windows connecting with the outer world. 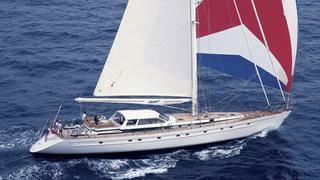 A great yacht for comfortable sailing she also performs well on the race course. With an impressive 49m carbon mast and boom along with twin steering wheels and a large aft bathing platform she is a powerful yet easy-to-handle sailing yacht. 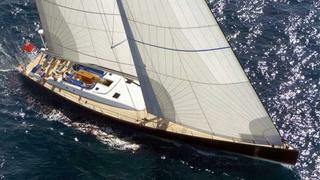 Azzura is a 29.26m sloop-rigged sailing yacht with a lifting keel hull built by Jongert and launched in 1998. This luxury vessels sophisticated exterior design and engineering are the work of Doug Peterson, while the interior was designed by Peter Sijm. Accommodating six guests in three cabins, she was last refitted in 2008 and three price drops in 12 months totalling 1 million have brought her down to 2,995,000.